MANILA, Philippines - Did you know that you can sue business establishments for not giving you your due change? This is just one of the new laws in the Philippines you need to hear about. A total of 36 bills have lapsed into law from July 17 to 22 after former President Benigno Aquino III and President Rodrigo Duterte didn’t sign nor vetoed the bills. Here are some of the new Philippine laws you might find interesting. You can now sue business establishments for not giving you your due change. Republic Act 10909 requires establishments to provide exact change to consumers and put price tags with the exact price on their products. Penalty: Offenders will be required to pay a fine of 500 or 3% of gross sales for first offense, P5,000 or 5% of gross sales for second offense, and P15,000 or 7% or gross sales and a three-month suspension of operations for the third offense. The establishment owner will be compelled to pay a fine of P25,000 and close his or her establishment for the last offense. Beginning August 16, Republic Act 10911 or “An act prohibiting discrimination against any individual in employment on account of age and providing penalties therefore” will take effect. This law will prevent employers from refusing promotion or denying compensation, privileges as well as training opportunities from employees because of their age. Recruitment and employment agencies will not be allowed to deny helping individuals regardless of age from seeking employment. Moreover, labor organizations can’t refuse employees of membership based on their age. 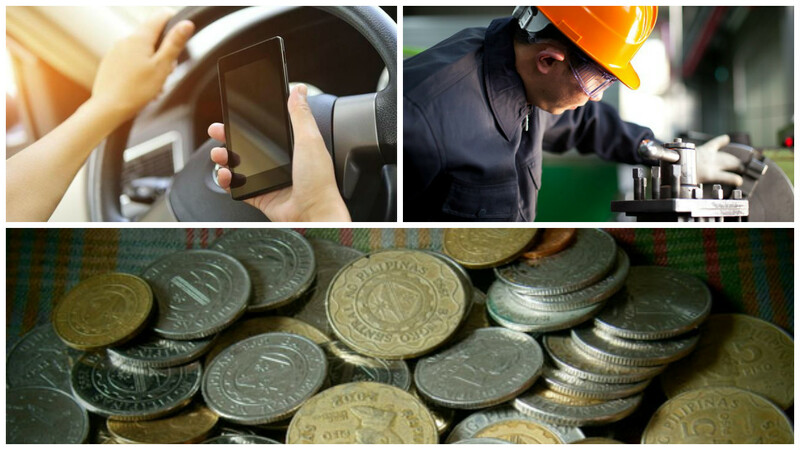 Penalty: Violators will be fined between P50,000 to P500,000 and may face imprisonment between three months to two years. Under Republic Act 10916, public utility and certain types of vehicles will be required to have a speed limiter. Owners of these vehicles are expected to comply within 18 months after the law takes effect. Penalty: Offenders will not be allowed to register or get a franchise permit and will be fined P50,0000. For the first offense, the driver’s license will be suspended for one month and the franchise permit for three months. License and franchise will be suspended for three months and six months, respectively for the second offense, while the license and franchise will be suspended for at least a year for the third offense. Republic Act 10905 mandates franchise holders or operators of television stations and producers of television programs to present their programs with subtitles for the deaf community. Public service announcement under 10 minutes, programs between 1 am to 6 am, programs that are textual in nature or those who will be economically burdened are exempted from this law. Penalty: Violators will be fined at least P50,000 but not more than P100,00 or face imprisonment for at least six to twelve months, or both. Permit or license to operate may also be revoked. Any person caught using their phone or gadget in non-emergency cases and/or needs it for work while driving will be penalized under Republic Act 10913. Penalty: A fine of P5,000 will be imposed to violators for the first offense, P10,000 for the second offense and P15,000 and suspension of license for three months for the third offense. Drivers of PUVs, school buses or carriers with toxic or flammable material within a 50 meter radius from school premises will be fined P50,000 and have their licenses suspended for three months.